Don’t worry it’s not what you think. Or perhaps it’s exactly what you think if you are in the know. 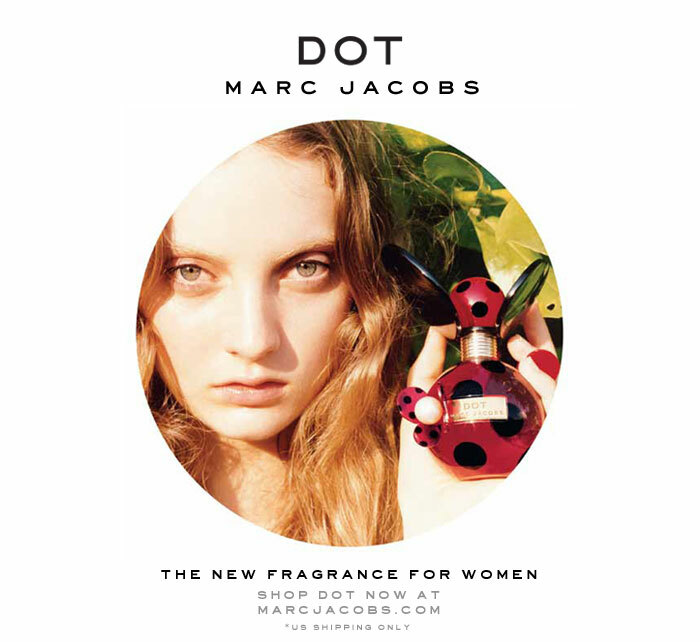 Marc Jacobs released his new signature fragrance to the public, “Dot”. I love Daisy. It’s light, youthful, flowery with a hint of girly. What is so different about ‘Dot’? How will this fragrance captivate and enthrall Marc’s audience? Below Marc Jacobs talks ‘Dot’ and what it is as well as the creation process. Fascinating and interesting as always we approve and can’t wait to give a try Marc. After all anyone who can pull off a dress like he did is well worth supporting.